We are indebted to Linda Nelson of Chicago for preparing the PDF editions of the English, Magyar, and German versions. THE Hungarian uprising of 1956 was a spontaneous rebellion by a nation against the rule from Moscow - against the faceless, indifferent, incompetent functionaries (the 'funkies' David Irving calls them, adapting the Hungarian word funkcionáriusók) who in little more than a decade had turned their country into a pit of Marxist misery. But this fluttering of a national spirit was brief: the Soviet Union crushed the uprising with a brutality that shocked the western world. The full story has never before been told. David Irving's search for material and documents took him to the great cities of the northern hemisphere. He questioned survivors in Moscow, Munich, Geneva, Paris, London, New York, Verona, Rome and Madrid - he obtained clearance of previously un-obtainable records in Washington relating to the role of the CIA, Radio Free Europe, and United States diplomacy. In Kansas he worked through the records of Eisenhower, American president at the time. In Toronto he found and interviewed Budapest's police chief, who had been recently amnestied from life imprisonment by the Hungarians. Irving was officially permitted to visit Budapest several times. 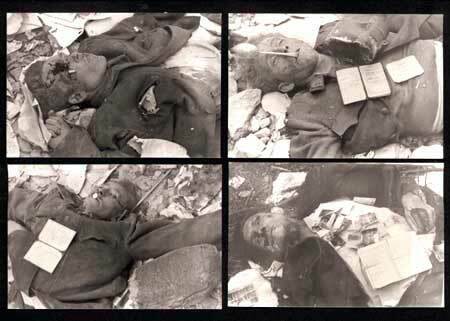 He traced and talked with eye-witnesses and survivors there and obtained new documents and photographs from them. He questioned the men who had been kidnapped, exiled, imprisoned and put on trial with the Prime Minister, Imre Nagy, who was sentenced to death, as well as members of Nagy's family. It is Irving's assessment of Imre Nagy that will, perhaps, raise eyebrows, as well as his discovery among official records of evidence that anti-Semitism was one of the motors of the popular discontent. He has made use of hundreds of interrogation reports prepared at the time by American agencies, and supports this material with the diaries of diplomats and western journalists who went into Hungary. The result is a compelling autopsy of a failed rebellion. Irving offers views from inside the council chambers of the powerful as well as from street level. The rebels are given names, personalities and profiles thanks to the detailed records of the American psychiatrists who saw them. It is a book with a cast of ten million, a study that counterpoints concrete examples with humour as David Irving shows just how a rebellious urge could erupt from within a nation. 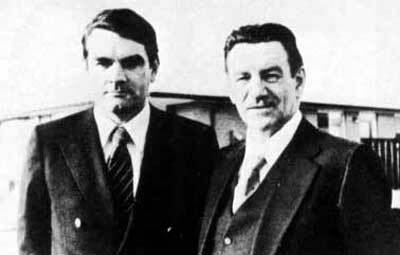 oben: Toronto, März 1979: David Irving (links) mit Sándor Kopácsi, dem Polizeipräsidenten von Budapest in der Zeit des Aufstandes. 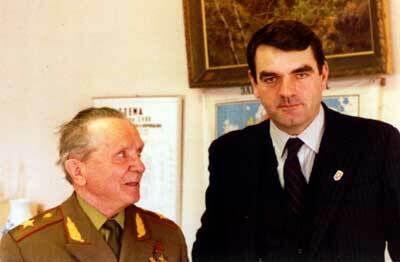 unten: Moskau, April 1978: David Irving bei Generaloberst Batow, dem ehemaligen Oberbefehlshaber der russischen Truppen, die den Aufstand in Budapest niederschlugen. Zwölf Jahre vor ihrem Einmarsch in Afghanistan rückten russische Truppen in Prag ein; zwölf Jahre zuvor schlugen sie in Ungarn den Freiheitskampf nieder. Was geschah damals wirklich? Nicht nur in Budapest und der Provinz, sondern gleichzeitig in Moskau, Paris und London, in Washington, in New York und daneben in Jerusalem und Kairo? 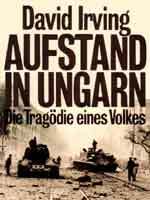 David Irving, einer der meistbeachteten und zugleich meistdiskutierten Zeithistoriker, hat sechs Jahre an dieser ersten umfassenden Darstellung der ungarischen Tragödie gearbeitet. So entstand ein brillantes, zwingendes Buch voll dramatischer Details: ein außerordentliches Zeitdokument, das heute, 30 Jahre nach der Tragödie, aktueller denn je ist.